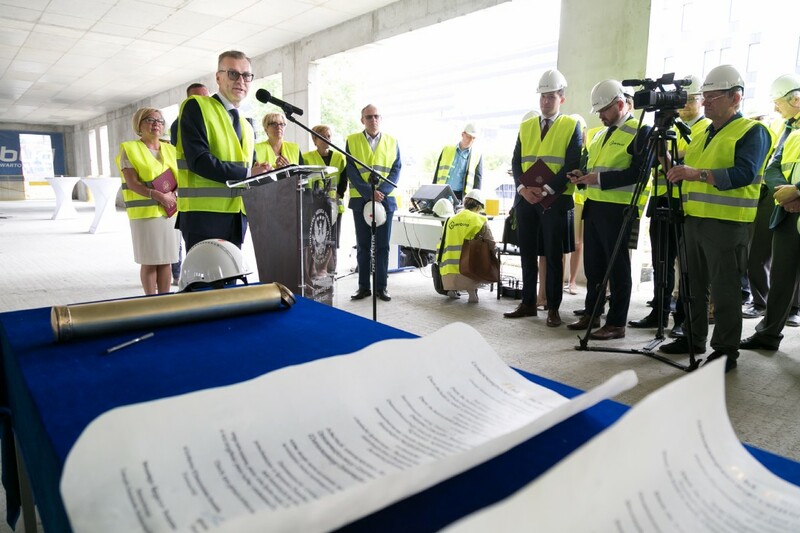 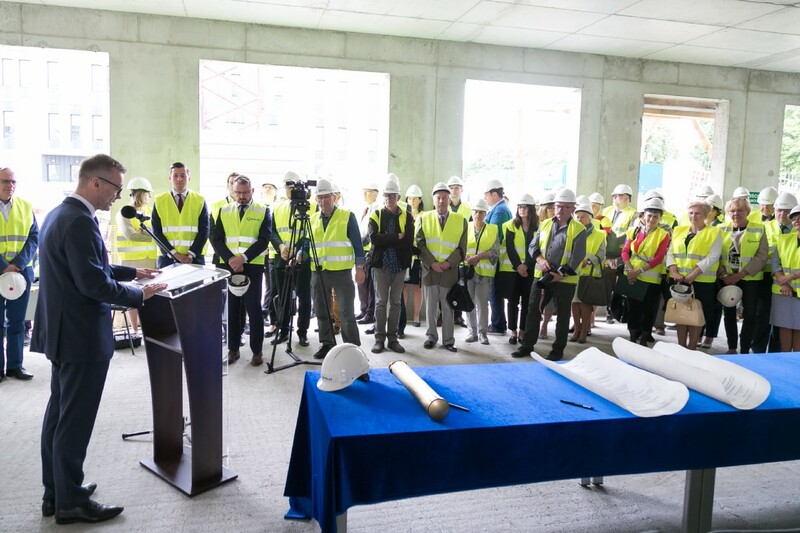 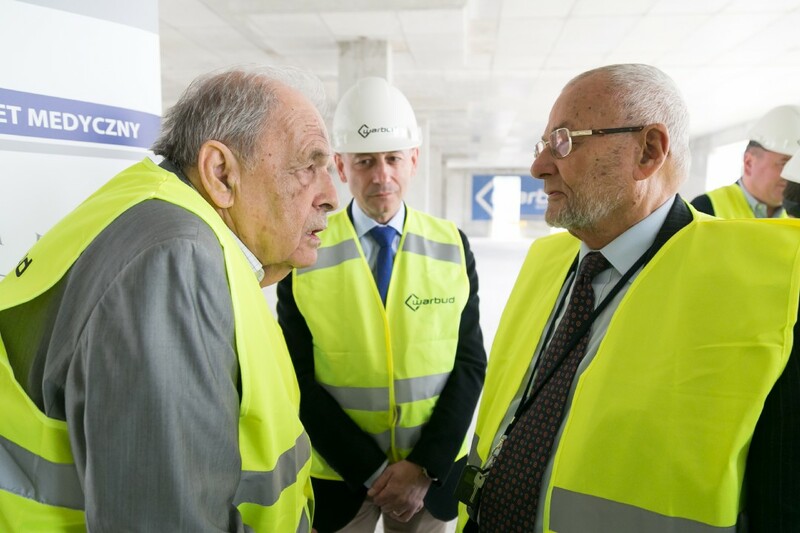 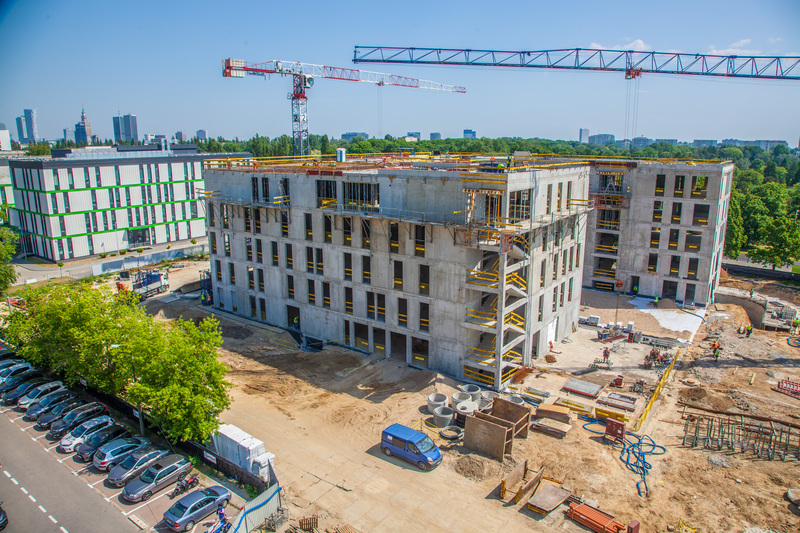 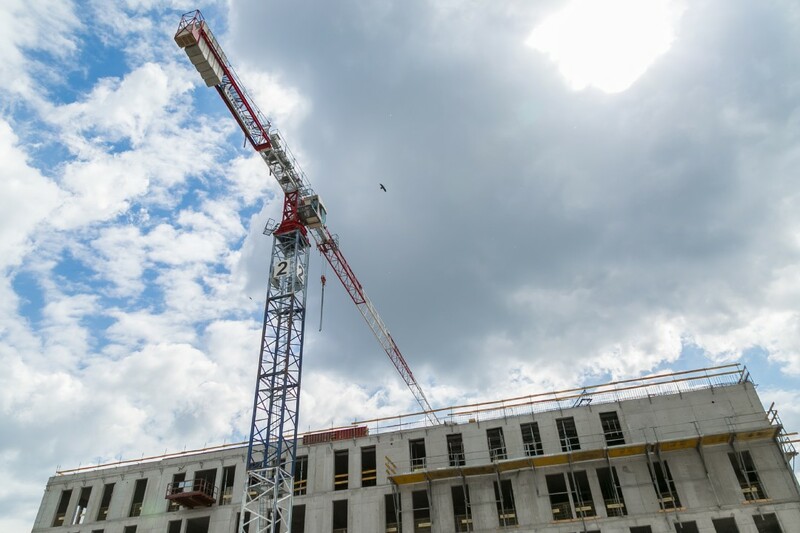 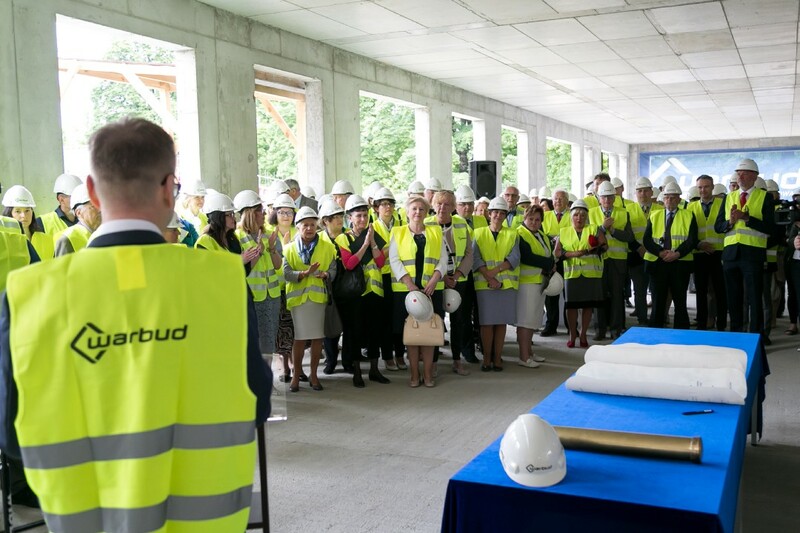 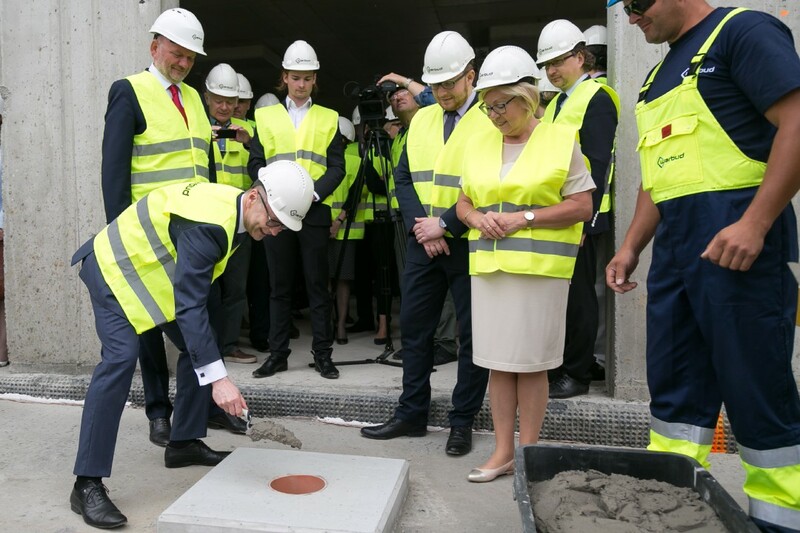 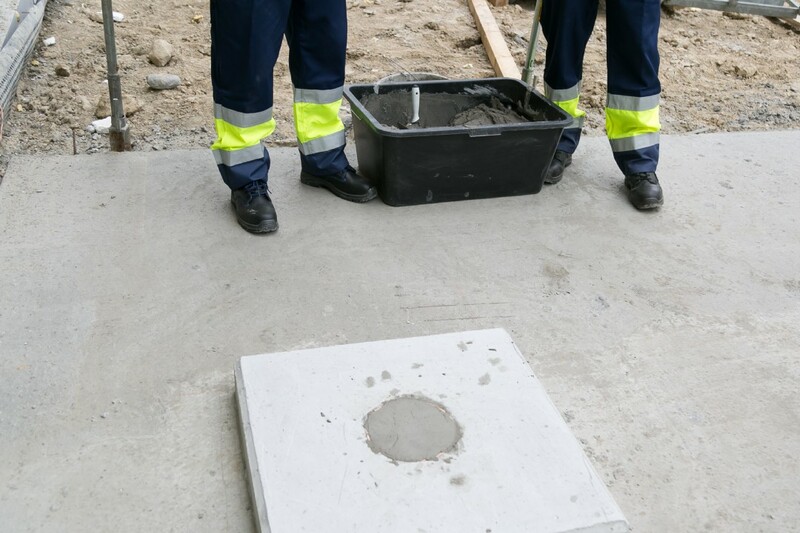 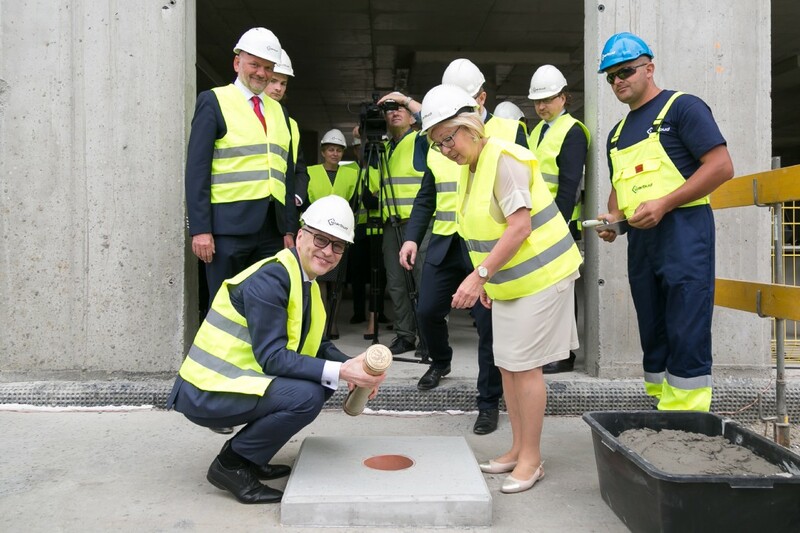 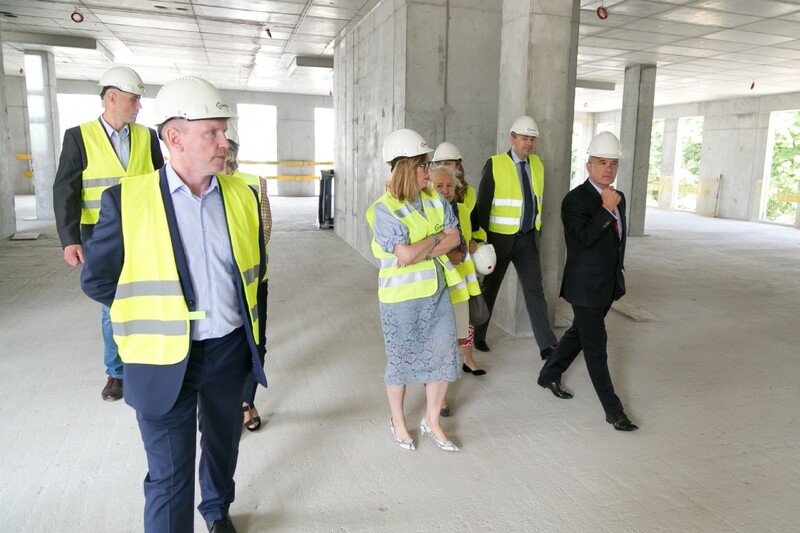 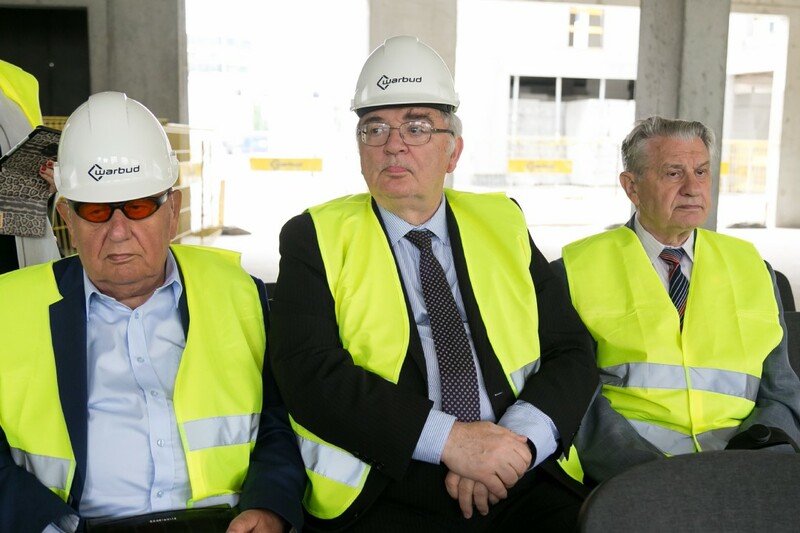 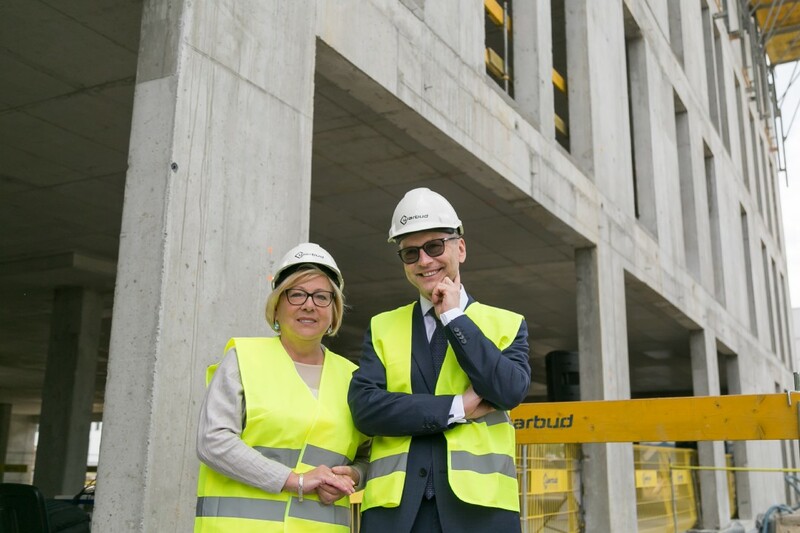 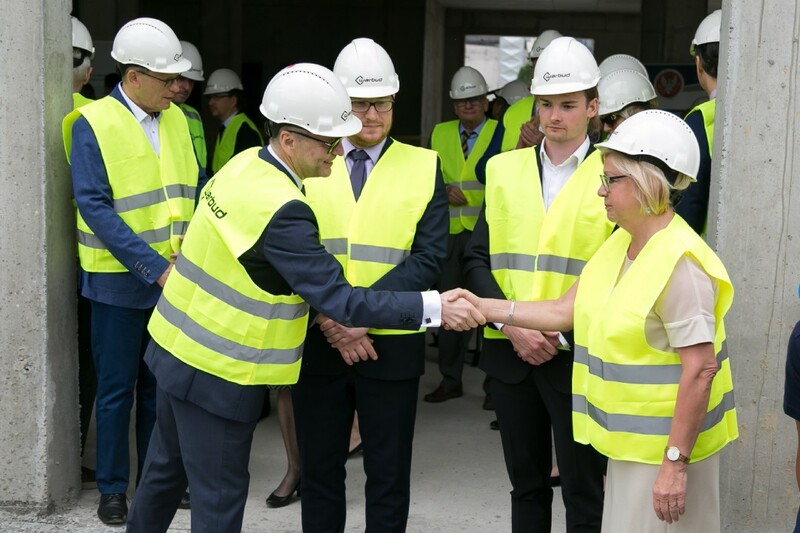 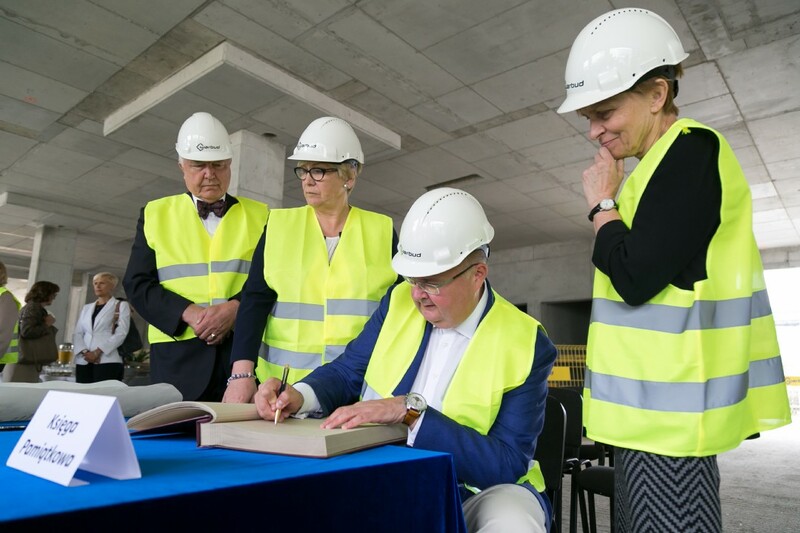 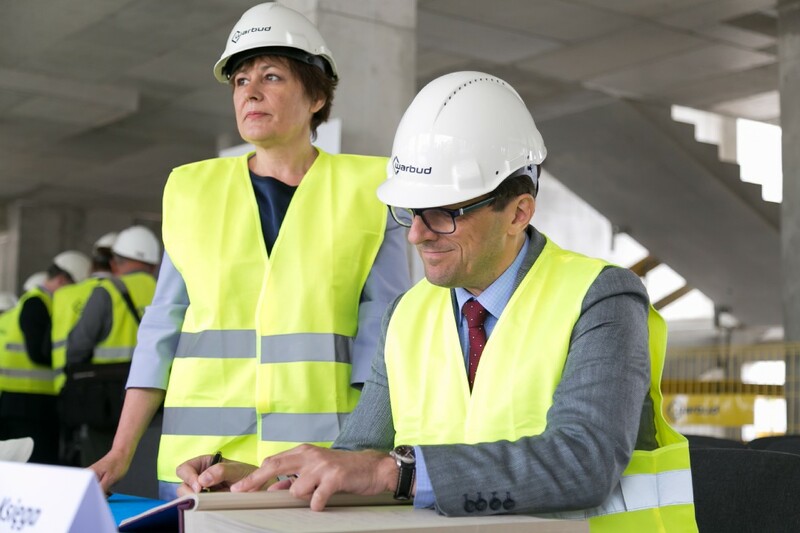 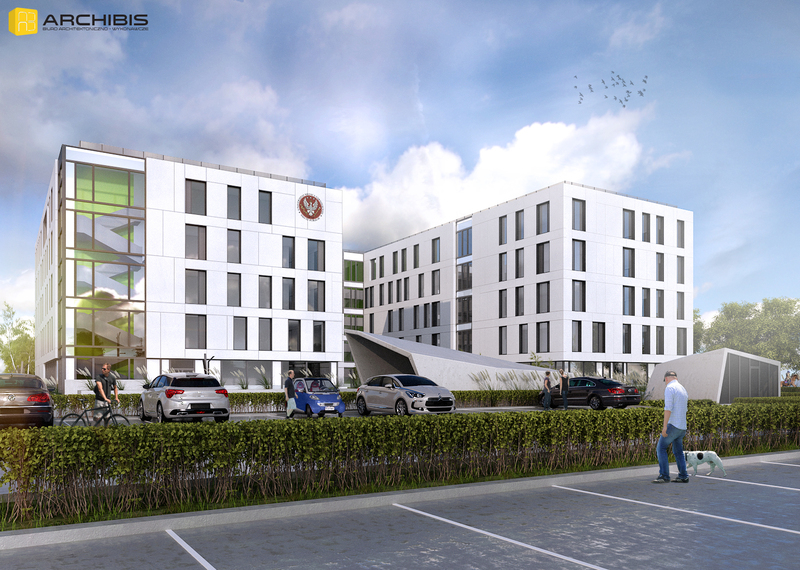 The signing of the Construction Act for the Medical University of Warsaw Center of Dentistry took place on May 14, 2018 at the location of the new building on the Banacha campus, ul. 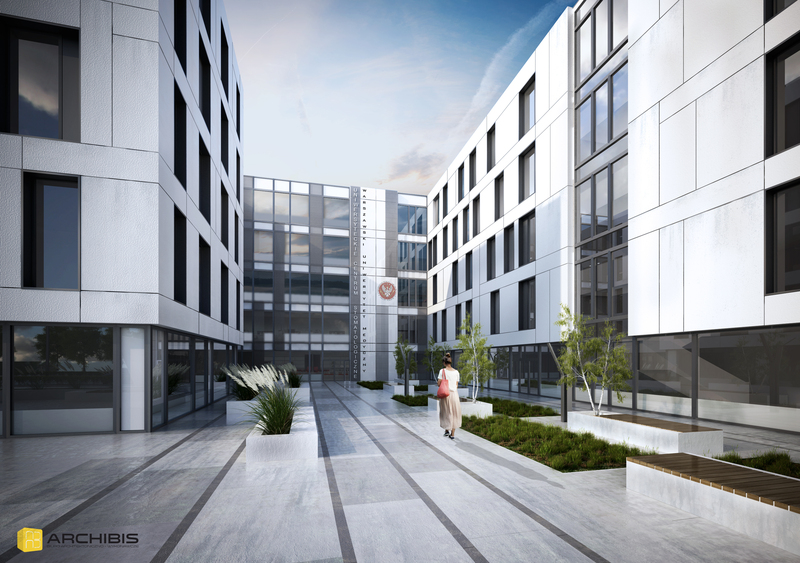 Żwirki i Wigury 81 - between the University’s Library and Information Center and the Center for Preclinical Research. 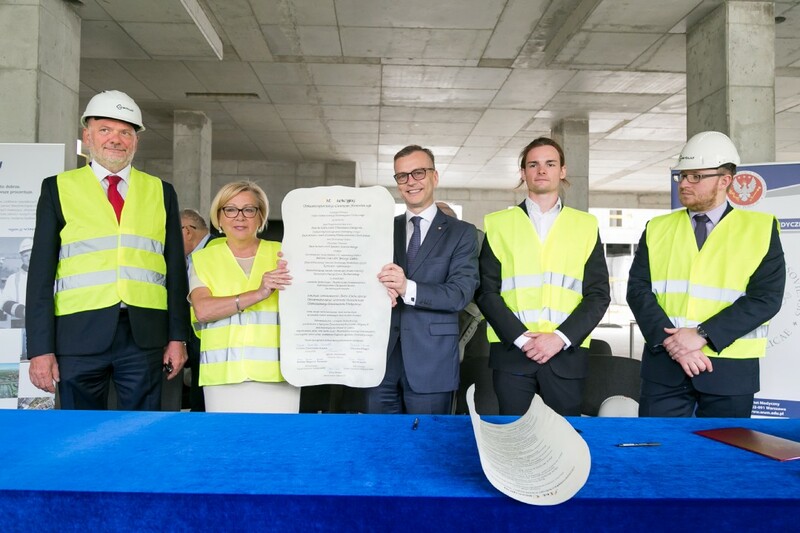 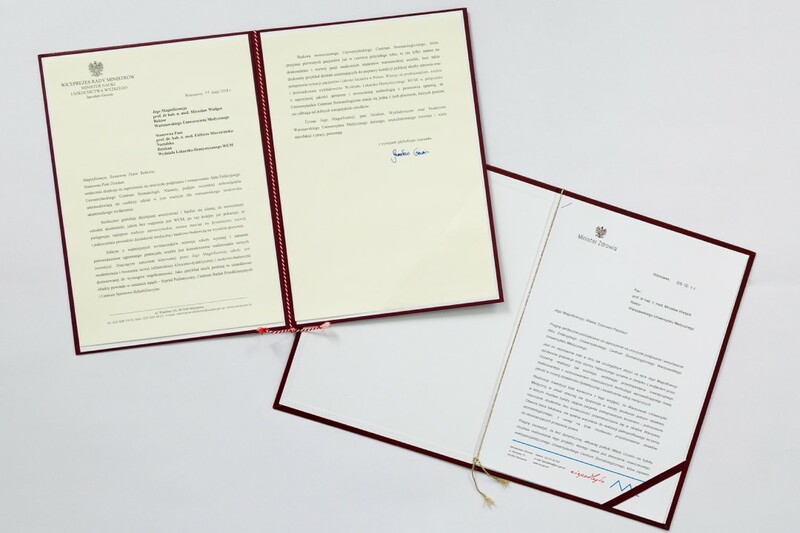 The Construction Act was signed by the Rector, His Magnificence Prof. Mirosław Wielgoś; Prof. Elżbieta Mierzwińska-Nastalska, Dean of the Faculty of Medicine and Dentistry; Mr. Łukasz Szumowski, Minister of Health; Mr. Jerzy Werle, CEO of Warbud S.A.; as well as, Mr. Roman Koński – President of the Medical University of Warsaw’s Student Self-Government, and Mr. Seweryn K. Bocheński, President of the Faculty of Medicine and Dentistry Student Government. 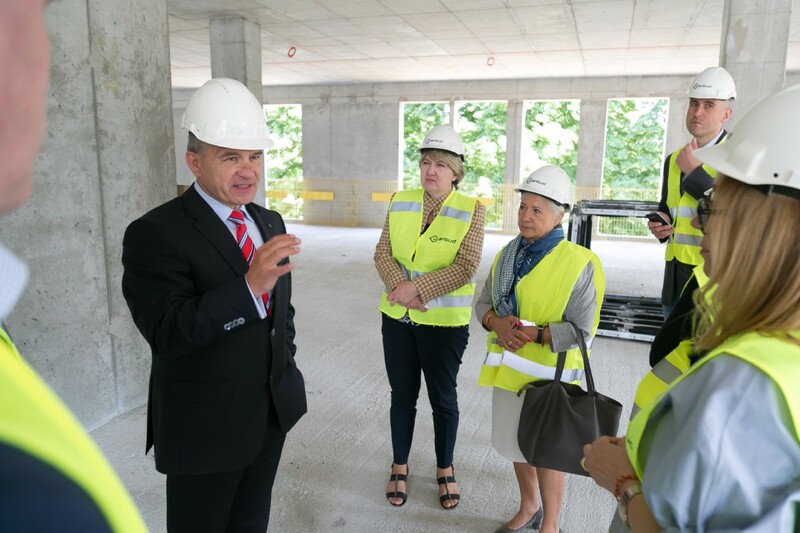 In his remarks, the Rector said that "students and staff of the Faculty of Medicine and Dentistry will begin the academic year 2019/2020 in a new magnificent building. 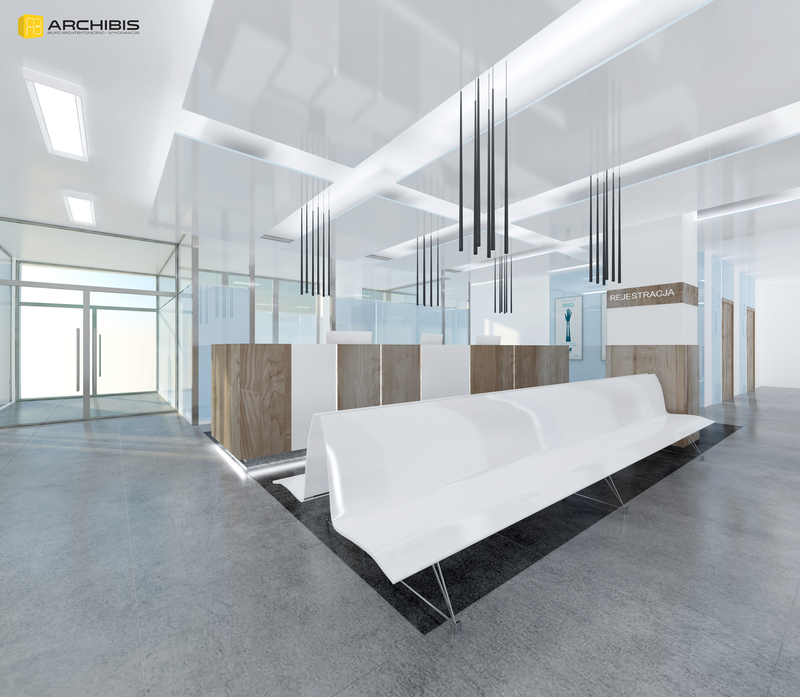 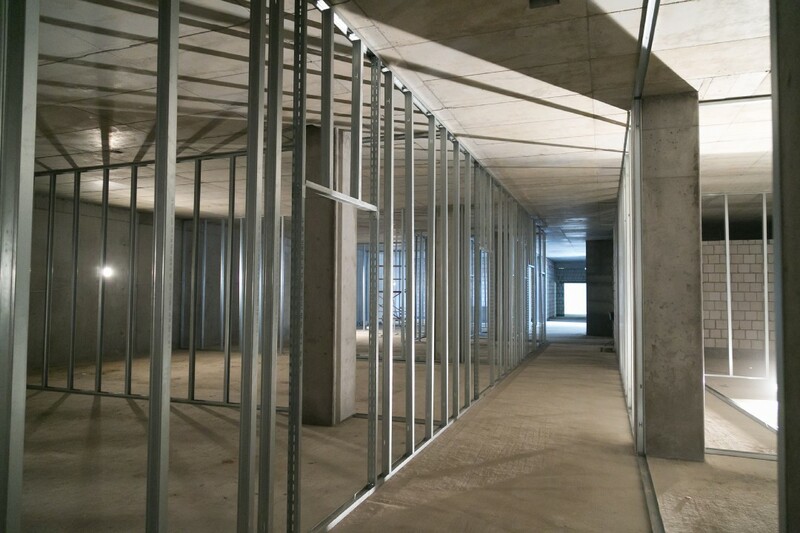 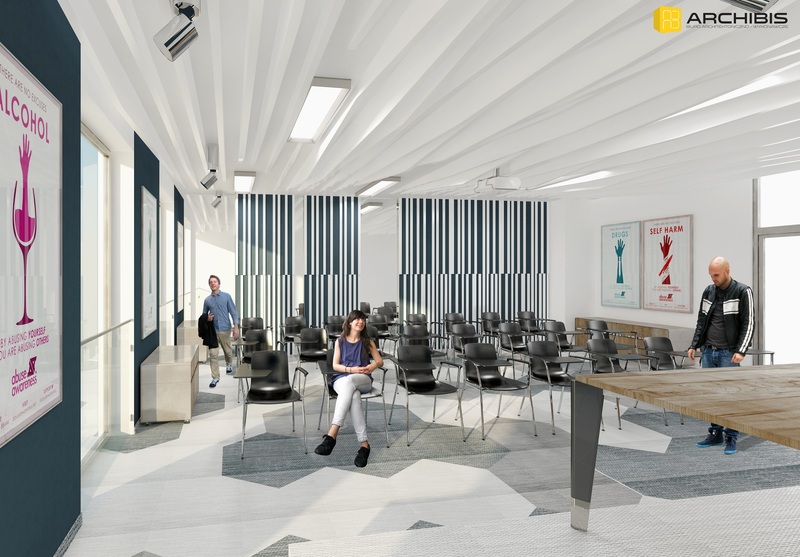 The Center will serve to train, conduct scientific research and treat patients. 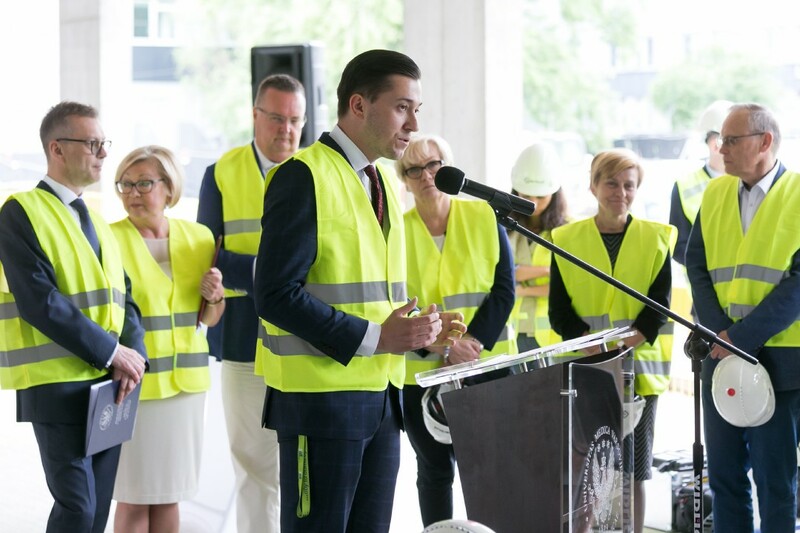 It is exactly these same activities that generations of dentists have been carrying out within the Faculty of Medicine and Dentistry for exactly 200 years. 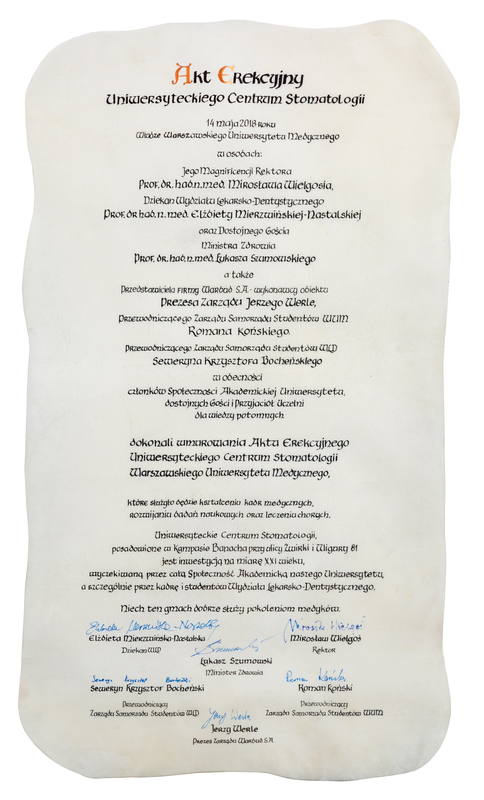 Dental education began at the Royal University of Warsaw in 1818. 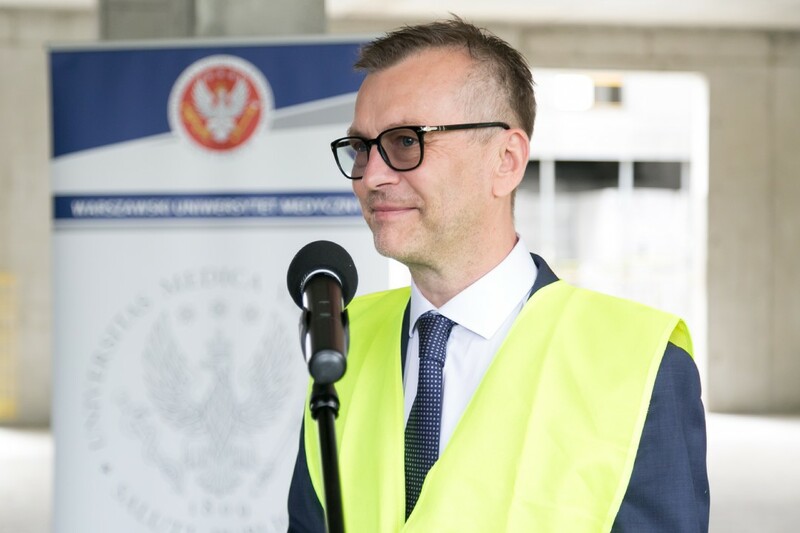 (...) Today, the Faculty of Medicine and Dentistry has an academic community of nearly 1000 people, including 695 students, 52 PhD students and 239 academic teachers and employees. 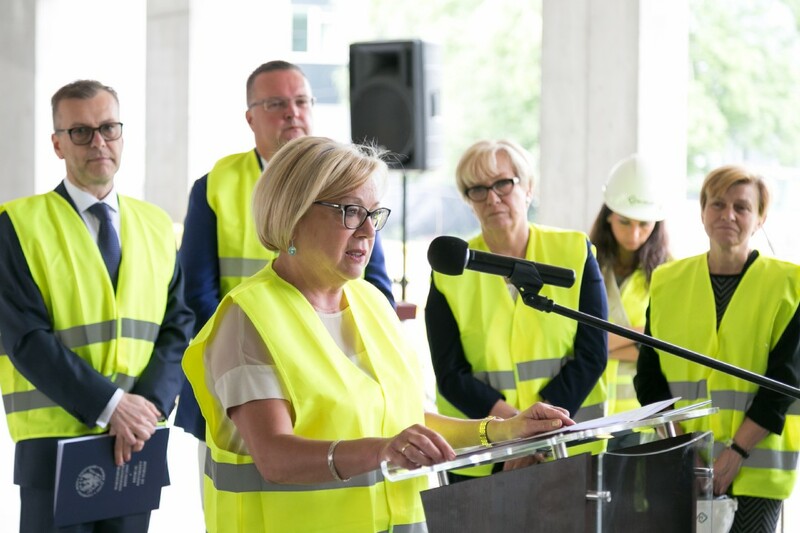 It is this academic community that constitutes one of the pillars of the Warsaw Medical University and deserves a modern and friendly environment for the staff, students and patients." 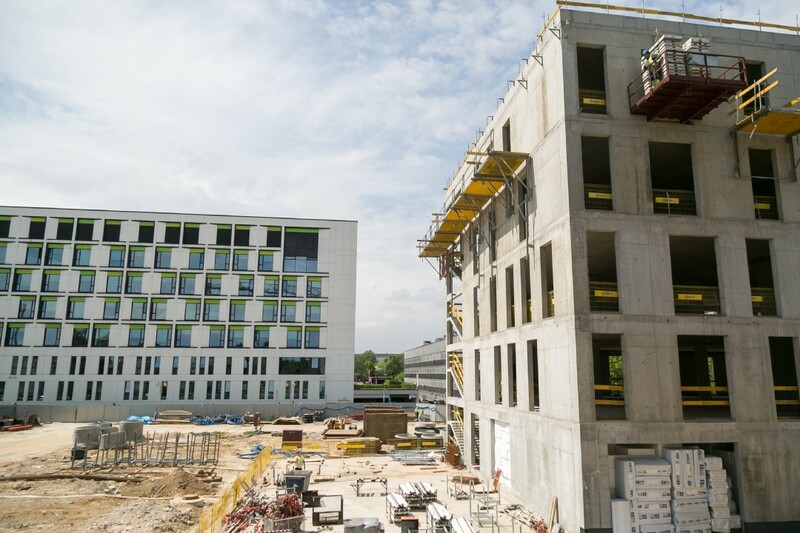 "Today’s ceremony is both a very important and emotional event for the Faculty of Medicine and Dentistry because our dream of a wonderful modern building we can call our own is finally being realized before our very eyes. 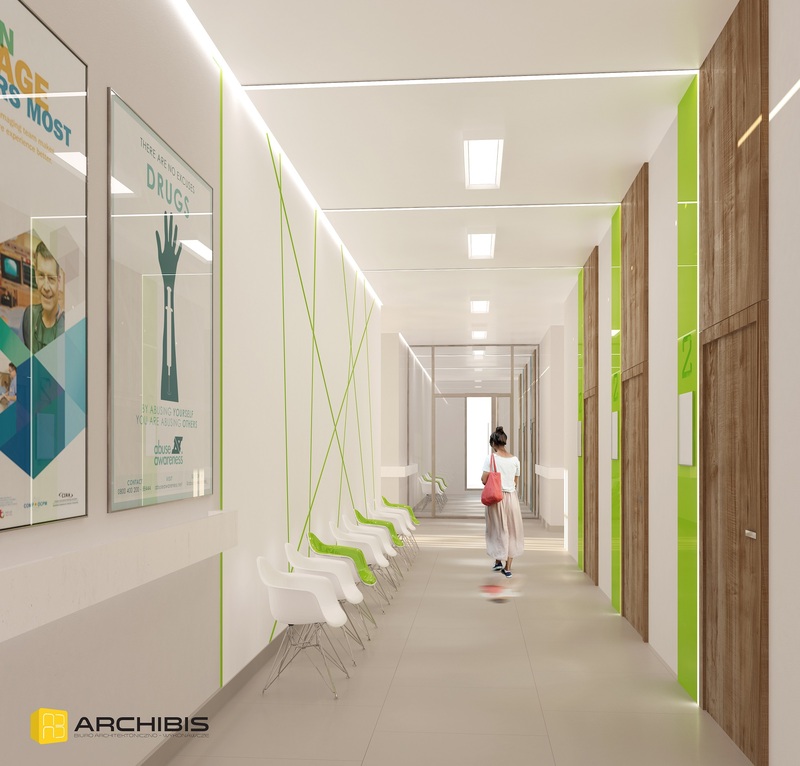 For many years now, dentistry at the Medical University of Warsaw had to perform under very poor conditions on Miodowa and Nowogrodzka streets. 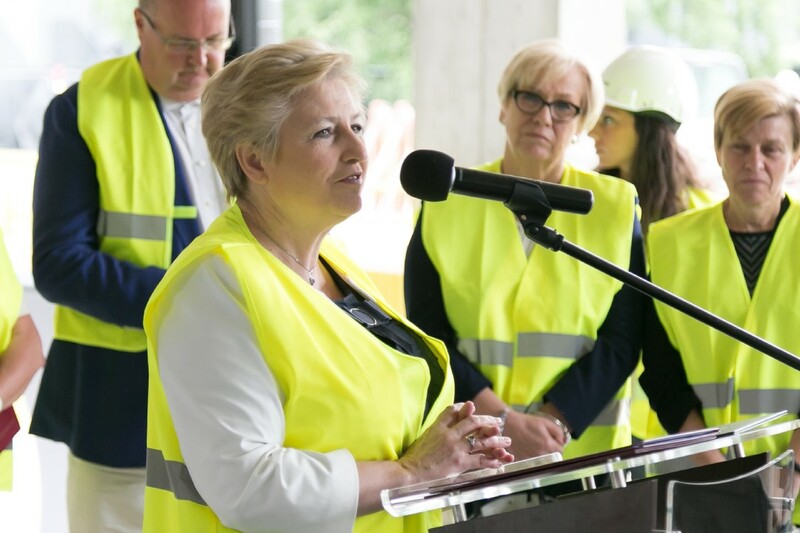 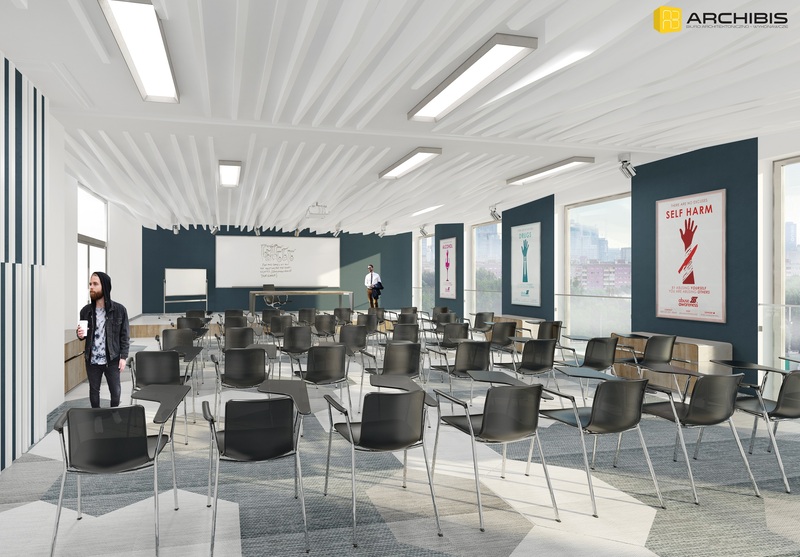 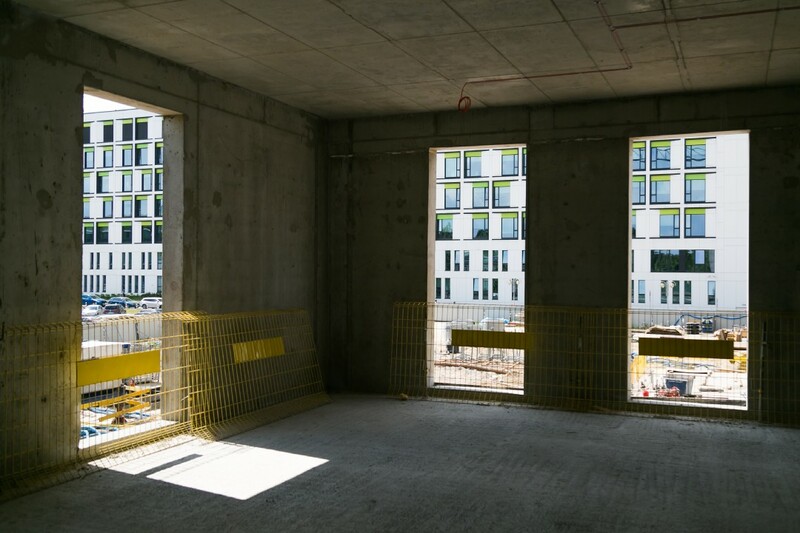 We are evermore so glad that, in a little more than a year, we will move here, to Żwirki i Wigury 81” said Prof. Elżbieta Mierzwińska-Nastalska, Dean of the Faculty of Medicine and Dentistry.